An interior designer enhances the function, safety and aesthetics of interior spaces while taking into account how different colors, textures, furniture, lighting and space work together to meet occupants' or visitors' needs. He or she works with both private and public spaces including residences, shopping malls, schools, offices and hospitals. Furniture designers produce designs for items of furniture and related products. These designs may then be mass produced or made in small batches or as one-off individual pieces. Designers may be involved in the design aspect of the work alone or they may be highly skilled craftsmen and designer/makers, producing the items from their own designs. Designers work alone or alongside colleagues creating concepts and designs that balance innovative design, functional requirements and aesthetic appeal. Landscape designers use the environment as their canvas, typically beginning with a blank slate and ending with a functional and beautiful outdoor space for people to enjoy. 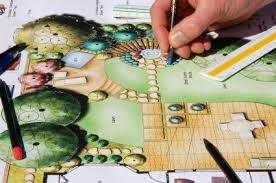 This profitable career allows you to design landscapes for homes, businesses, parks, and malls. 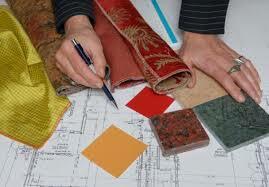 Interior Designer: Minimum 2 years higher education from an interior design school, college or art school. Design apprenticeship. 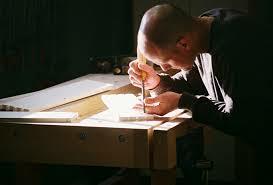 Furniture Designer: Undergraduate degree in commercial or industrial design. Or Bachelor's degree in furniture design. Landscape Designer: Bachelor of Landscape Architecture (BLA) and a Bachelor of Science in Landscape Architecture (BSLA). These usually require four or five years of study in design, construction techniques, art, history, natural and social sciences. Vern Yip: (born June 27, 1968, in Hong Kong) is an American interior designer based in Atlanta, Georgia. He periodically appeared on TLC's Trading Spaces through its fourth season, and was known for frequently including silk, candles and flowers in the rooms he designed. He is one of the panel of judges on HGTV's Design Star. Yip went to high school in northern Virginia at McLean High School in the class of 1986.Yip double-majored in Chemistry and Economics at his alma mater, the University of Virginia, and later received a masters in management and architecture from the Georgia Institute of Technology. Gaetano Pesce: Years active 1959-present. An Italian designer B&B Italian and Cassina in the 70s and 80s helped push the envelope of Italian post-modernism to the forefront of contemporary funiture design. James Corner (1961 -) English-born Corner is now Professor of Landscape Architecture at the University of Pennsylvania and principal of the New York based practice, Field Operations. He is perhaps the world’s most celebrated landscape architect, following the extraordinary success of the High Line project on Manhattan, which turned an abandoned railway viaduct into a linear park, visited by around four million people per year. Field Operations are also working on the Freshkills Landfill on Staten Island, transforming it into one of the world’s biggest urban parks.